The Chevrolet Equinox has been a favorite sports utility vehicle at Car Credit Tampa. The Equinox is the updated version of the Chevy Blazer from the early 80 ’s to the mid-1990 ’s. A significant difference between the Equinox and the Blazer is the fact that the Equinox is spacious and comfortable as opposed to the rugged Blazer of the past. The Equinox has been very popular with customers who are making the transition from sedan to SUV. The Chevrolet Equinox considered a compact SUV, can seat five comfortably which is appealing to many, especially with the added boost of a V-6 engine. It offers a smooth ride and above-average reliability rating. The Equinox has excellent safety ratings and fuel economy with a 4 cylinder engine. Chevrolet put time into the design of the Equinox, compared to its competitors there has only been some minor cosmetic changes since its debut in 2004. Its competitors have made significant changes over the years to try and catch up with the engineering of the Equinox. Other features that have always been offered with the Equinox is a choice between all-wheel drive or front wheel drive, remote keyless power door locks and a six-speaker audio system. The Equinox is equipped with the LATCH system for two back seat car seats. LATCH stands for Lower Anchors and Tethers for Children. This system was developed to make it easier to install child safety seats correctly with our the use of seat belts. This system has been available since 2002. There are 30 cubic feet of space behind the second row, and if you lay the seats down the area increases to 63 cubic feet. Great space to transport sporting equipment from practice to home or for that new project in the backyard. Gas mileage is right on par for compact SUV ’s. You can expect at least 17 city and 24 highway. We, at Car Credit Tampa, are always concerned about our client’s safety when they get behind the wheel. Several of the standard safety features that the Chevy Equinox comes equipped with are anti-lock (ABS) breaks and airbags. There is also rear door child safety locks. We can not forget about the all-important air-conditioning that is imperative where we live. 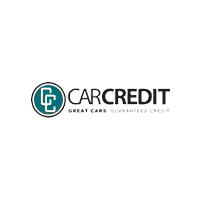 At Car Credit Tampa we have over 500 vehicles in stock at our four different locations. Check out what we have in stock and what specials and deals we may be running at carcredittampa.com. You can also contact Car Credit Tampa at 877-696-8226 to talk to one of our friendly, experienced and bilingual staff members.